I passed a marker the other day. Not a marker on a trail or a road, but a marker in my mind. I have more time behind me now than I have in front of me on this journey. It hit me hard, because I don’t want it to end. I’ve never felt like this before, with my heart torn between two places. I’ve always said that Montana is paradise on earth, and Missoula is its capitol. I miss my family, my friends, my canine soulmate. 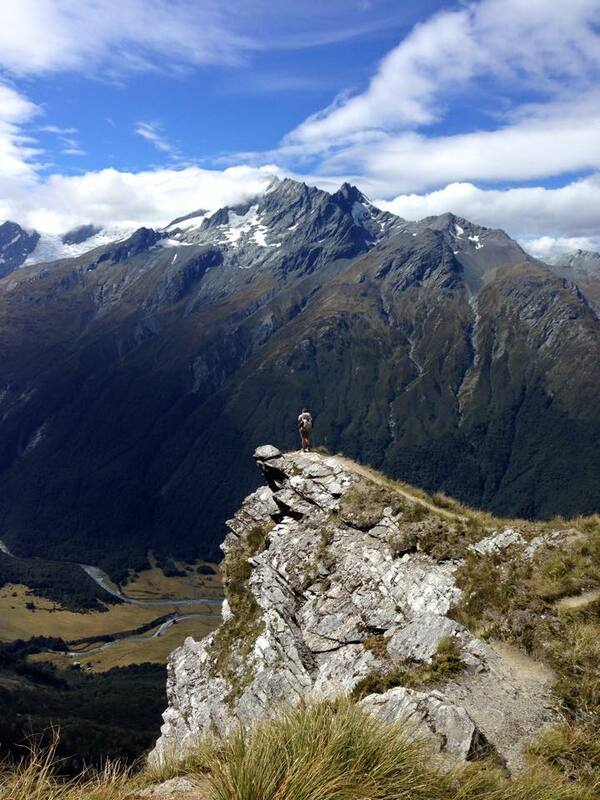 But I’ve fallen for New Zealand. For the people here, the mountains, the way of life. It’s gotten into my soul. I am addicted to being surrounded by people who play outside like it’s part of their religion. People who think that it’s fun to mountain bike through loose rock and knee-deep rivers and hike straight up a mountain just to catch the sunset. I’m addicted to days that consist of practicing yoga with strong women in the morning and talking heliski marketing with smart women in the afternoon. I’m addicted to relay fun runs that traverse mountains and culminate in dance parties and pub crawls back to town. I’m in love with hut culture and hiking through stunning landscapes with my backpack on my shoulders. I want to sleep in the back of my station wagon forever. I always want the option of the helicopter. I’m hooked on meeting interesting new people every single day, people who are finding creative ways to feed their souls, who give the word live as a verb everything they’ve got and then some. God help me, I’m even hooked on combat skinning through New Zealand tussock just to get the view of the Southern Alps at the top of the ski tour. I am in love with these ridgelines. After you’ve gotten a taste of this, after you’ve lived your dream, when you’ve come to see the world differently—how do you go back to your old life? How do you translate what you’ve learned when you return to the place you came from? How do you keep your new life on the same path back on home soil? How do you even define “home” anymore? My torn heart is searching for these answers. Beautiful, true words. I wish I had answers for your questions, other than letting time do its work. I think of myself at age 59-next month-and wish I had your dilemma. My thoughts are that you don’t want to get my age and have any regrets. Montana will be waiting for you–along with family and friends, and it’s this old lady’s opinion that you stay in New Zealand until you cannot bear to be away from Montana one more day. Brianna says let time do its work. I cannot agree more. This isn’t a practice life. Thanks so much for this good advice! Thank you so much for this perspective! I’d love to know whether you think some of this adoration of your new lifestyle is because you’re essentially on vacation (with some work in there I believe) and vacations are always amazing opportunities to pull away from the daily life you tend to establish at home? I wish I could feel like home life always feels like vacation life. But then my ‘realistic’ (or is it cynical?) side says you typically can’t always be on vacation, that ‘real’ life catches up too. If you think it’s not because of the vacation-wonder, then I really want to find out how to make this all work for me too! I tire of the daily life! Good on ya (does that sound Kiwi?! no idea), dear Cass! That’s a very valid point, Kylie! I think that part of it is the early retirement aspect. But the other part is that the work that I am doing here (marketing for a heliski company) really resonates with me, too. I do think that vacation mode and daily life can blend, and it’s just a matter of being intentional about it. You do a great job of that, I think! Keep listening to your heart. Choose the path that will bring you the least regret and most joy. This is something that happens to me regularly. For me, the answers have come in the form of designing my life to be more wild, to feed me more, to be doing more of what I want to be doing. This has taken time to build. And even as I have built it, parts of what are wild become mundane, and I must infuse it with new. But for where you are now, and your impending Montana return – you will live in the space in between. You will be back physically, but feel like you are somewhere between two places. This place, for me, is a place of watery emotions and more questions than answers. I find it best to learn to be okay just treading water as all of the lessons process. I give it time. I let it percolate. When it’s time to integrate, I do that. I just try to give myself the space I need to have that space. Just like the trip, this space of processing is equally important to me. Thank you for this, Anna!